Worth a try for a quick meal! 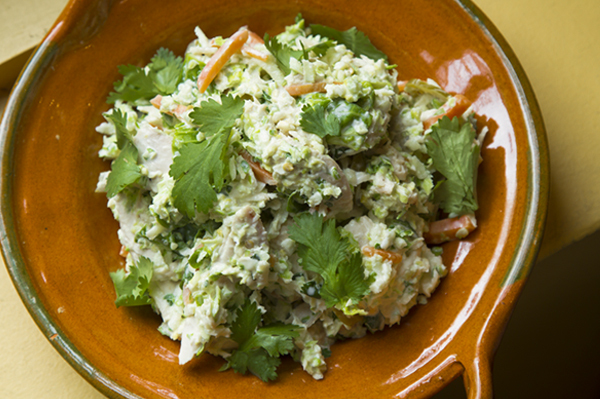 The Mexican-flavored chicken salad makes a simple and scrumptious taco filling, especially when the tortillas are warm. I’d opt for Brussels instead of napa cabbage, as the cabbage quickly lost its crunch.